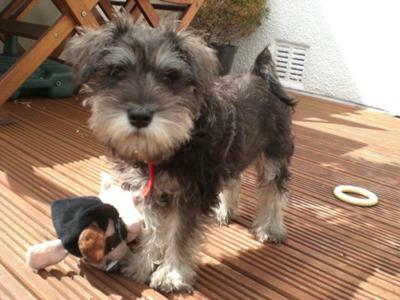 Tilly is a 12 week old female and if we say so ourselves she is an absolute "Dream". They say Schnauzers are smart we definitely got the A+ student. In the 3 weeks Tilly's been in the family she has the basic commands of to a tee, (sit-wait-down-come-leave etc. NO TRICKS we don't treat her as a toy) and is totally house trained, has never whined or barked through the night. You see a "Dream"! Tilly has a selection of soft toys which she has her favourites but you know it's the plastic pop bottle she loves best. She is a great addition to our family. Your Tilly is so adorable! We had to put our Kori down on June 4th. 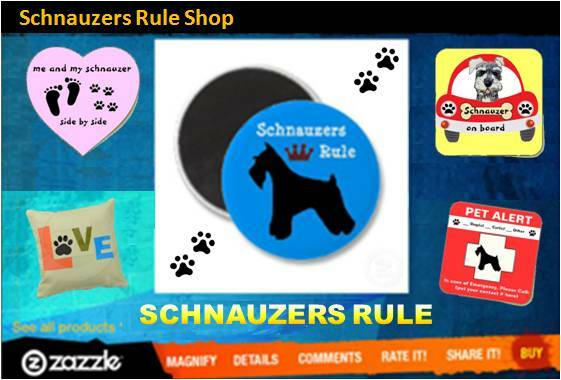 There is a tribute to her on Schnauzers-Rule. 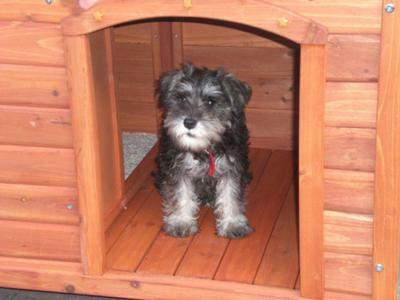 We will be getting a new Mini-Schnauzer puppy sometime at the end of September. Looking forward to having another "love" in our lives. 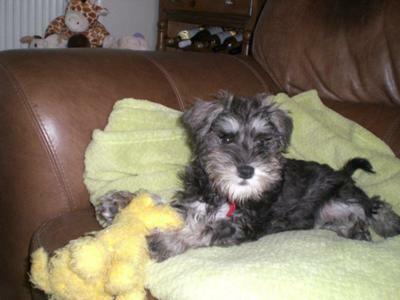 You will definitely enjoy your Tilly as Schnauzer are very smart, adorable and loving. What a cutie Tilly is! She'll fill your lives with so much fun!! !